Calabria Arnie and Diane, Canada Tuscany Charles and Amy Palella from New Jersey, US. Umbria Elaine Crabtree, Canada Piedmont Jane M. and Wayne S.
Tuscany Roger and Judy Churley, US Campania Bill Vivian from San Diego, US. Calabria Dave and Joanna, Australia Umbria Graham from Bournemouth. Absolutely top service and help with properties in Italy. Stefania and her team did everything extremely fast and provided invaluable support with answering tons of our questions on each stage. Thank you for the way you have looked after me all through the looking and buying process. I have been so impressed with your efficiency and attention to detail. I would be happy for you to give any potential client my e-mail address and I would confirm the efficiency and usefulness of your services. We got the official news today that we are proud owners of a property in Lucca. Thanks to Stefania and the rest of the team. I wanted to drop you a note to let you know that everything went really well yesterday ; the monies were transferred by the bank and the completion at the notary all seemed to go through ok. Thank you so much for all your support and dedication to helping us with our purchase over the past 9 months. It has been brilliant and we are so thrilled with the villa. Look forward to catching up with you when we land back in the UK next week! Off out for an alfresco celebration lunch in lovely warm sunshine. After the London news we trust you are all safe and well. Thanks to you and Stefania for putting up with us over the last few months, we really appreciate all that you have done for us. We actually thought it would be a lot more daunting, be you guys made it so much more bearable. Thanks a bunch. Last fall, with the help of Stefania and her wonderful staff, we purchased a home in Italy. We are American and speak no Italian, so it would have been an extremely difficult process for us had it not been for the services they provided through Property Organiser. From finding the perfect home for us in Umbria, to setting up our utilities and arranging for me to open an Italian bank account, they were there to take care of everything we needed. Buying a house overseas can be a daunting process, but Stafania and her crew made it a much smoother experience, one we would have failed at miserably had it not been for their help. We would not even attempt to do this again without them. Thanks for helping make our dream come true, Property Organisers! You took the stress level way down and made a couple of crazy old hippies very happy. We used Property Organiser to help us source and purchase our house in Sicily. From their initial help, from Valeria, through to Mara and the rest of the team we got it bought and everything set up. Due to some planning issues it took a while to resolve, but they kept us up to date with the process, and what was happening. Without their help I doubt we would have managed. All is now good and we can toast you all from our terrace, in the sun, with a glass of red wine. Thank you, and to the team, for helping us again with the purchase of this land - now we know we can control the plant growth and that no-one else can park, build or erect anything on it, opposite the house. Kind regards Jane M. and Wayne S.
I was glad that I used Property Organiser. They helped me find the right property, along with invaluable help with the purchase process which was successfully completed. I would like to say a big thank you for helping me with the purchase of my new home in Connio. I would like to thank all of you for your help at various stages of the house buying process. This house is perfect for us - and a rewarding end to a bumpy process. I am starting to believe the universe was on our side all along, preventing us from buying a less-than-perfect option until this one came along! Ronciglione is a lovely town, with great shops and services. It's also less than an hour to Mauro's mother's house and just over an hour's drive to Rome. Susie & I just wanted to drop you a line to say a massive thank you for all your work on our transaction, which as a result has gone so incredibly smoothly. We thought it was going to be a very complex task but with your help we have found it to be very straight forward & we are so pleased to be able now to enjoy our time in Lunigiana. Thank you for your swift find of the property that we have now bought. Stefania took into our account of what both Edward and I were looking for and in the area we were looking in. She spoke with almost every agent in the area and found us a property that hadn’t even been advertised on the market yet, which meant we could be one of the first in to see the property. Once we decided to go ahead with the property she recommended at what price we should put the offer in and then negotiated on our behalf and didn’t let us panic with the buy. This was from being able to be frank with the estate agent and knew where we stood with it all. Once the offer was accepted she didn’t just step back and let it happen, she chased the other side for a quick sell as well as followed up with our own solicitor. This way we knew that nothing out of the ordinary would happen with the buy. Thank you, you took a lot of the stress out of the buying. I feel terribly remiss and slightly guilty for not having contacted you much sooner to thank you for all that you did to help us conclude the purchase of Cascina Parea. The fact is the purchase was a bit of a whirlwind and when we came back we were into Christmas and in the New Year. Anyway, once again a huge thanks for all your work in helping us. I hope you had a great Christmas and the New Year has got off to a good start for you. We are currently in our new apartment in Siena! Buying real estate in Italy is very different than the U.S. It is very important have a real estate agent that speaks English and is familiar with the Italian law. We did our purchase in a short amount of time and we are pleased with the assistance of Property Organisers. Stefania and Valerio did an excellent and professional job in helping us search for properties and closing the deal. If you have any specific questions, I am happy to be used for reference. I would like to say thank you to you, Valeria and your team for all your help and guidance over the past 12 months and more, and for your kind wishes. Do let us know what you really think of the wine. Talk to you soon. Le nostre esigenze erano particolari e la ricerca è stata lunga con cambi di direzione molto frequenti. Stefania Russo ha avuto la pazienza di portarci per mano fino alla fine, scherzando l'ho definita un'aliena perchè è difficilissimo incontrare una persona sempre "sul pezzo" come è stata lei per più di un anno. I servizi di Property Organiser si sono rivelati una grande risorsa per la fiducia che abbiamo ricevuto dai contatti di Stefania : agenzie immobilliari, banca,avvocato,periti e imprese edili; questa professionalità porta subito nella direzione giusta e senza rischi. We are an Italian couple who has just made a dream come through by buying a house in London, in a very different real estate market than ours. Our needs were specific and the search has been long with frequent changes in direction. Stefania Russo had the patience to hold our hand all the way through, so that jokingly I described her as an alien as it is very difficult to find a person always ready and prepared as she had been for over a year. The Property Organiser’s services proved to be a great asset confirmed by feeling of trust we had from Stefania’s contacts: local estate agencies, bank manager, solicitor, surveyors and construction companies; this professionalism leads straightaway in the right direction and without risks. We found UK Property Organiser while we were looking for our first property quite by accident responding to property ads on the internet. We were contacted by Luisa Pacifico and through a series of emails and phone calls that eventually lead to our trip to Calabria to meet Luisa and tour the area on a search. Over 4 days we drove up and down the Calabrian coast 1000km. She was and continues to be an amazing partner and friend. We ended up buying a property in Tropea and the Property Organiser held our hand all the way through including us giving Luisa a Power of Attorney to act on our behalf with the notary since all the documents were in Italian. Now here¹s the clincher on why I would recommend Property Organiser to anyone thinking of buying a foreign property. Two years later we had the opportunity to purchase a second property in the same development and foolishly we thought we could do it ourselves. Eighteen months later we were still trying to get the deal done and the deficiencies addressed. So once again we called Stefania and Luisa for help. And they've stepped in to rescue us to great effect. They are getting the deficiencies addressed, moving the deal through the legal channels and all is well. As you can see I¹m clearly a fan of UK Property Organizer and specifically Stefania and Luisa. I was in London on business in September and dropped into the office to meet the whole team. All great people. I have been introduced to Stefania few months ago and she has been able, in only few months, to deliver very good results helping me in the research of a property in London. I highly recommend her to both investors and privates who are looking for properties with specific requirements. My wife and I have been working with Luisa Pacifico for 2 years now looking for the perfect villa for our retirement to Italy/Sicily. Luisa and the team have been exceptional in assisting us with our endeavor. We have looked at least 30 villas and houses in two visits to Italy and Sicily from the Cilento Coast to areas in Catania, Suracusa, Palermo and Trapani. Luisa has been the most helpful young lady my wife Ginny (Dona Gina) and I (Don Paolo) have ever had the pleasure of working with. Luisa has assisted us with travel arrangements, accommodations, chauffeuring us around Southern Italy and Sicily. We thoroughly enjoy her company, knowledge, patience, and advise without which we would be lost in our search. This past September we thought we had found our dream villa in Ascea Italy on the Cilento coast. Thanks to Luisa and the staff at Property Organiser we were saved from a purchase that would have meant that the property could only be used as a holiday home. We were told by the seller that the property could be sold as a permanent residence. A review by the legal department attorney Valeria identified the property could not be sold as a permanent residence. We will remain clients of "Santa Luisa" until and when we have secured our little piece of Paradise. Additionally, our trust in Santa Luisa will remain as long as we continue to work with this wonderful young lady. Additionally we would like to send kudos to Mara for assistance with mortgage information and last but not least Luca who assisted Santa Luisa when we visited in 2014 during our first villa search in Sicily. I purchased my first home, in Italy, no less! I just left the notary with my keys in hand. Grazie per la sua pazienza. Your company has been great!!! I would recommend you all to anyone purchasing a property in Italy! You've all been so kind, helpful and patient helping me through the process!! Wanted to thank you and your team for everything. It's been a pleasure. Now I need to start working on the place! You have been a real dear and I thank you sincerely for the trouble you have gone to. We, Michael and I are so very grateful to your company Fabiana and Valeria, who have worked so hard to make our purchase run so smoothly. We are impressed with the efficiency beyond anything we have experienced in the UK or EU before! So THANKYOU. Thank you so very much for making this happen. The service you offer is perfect. We will not hesitate to recommend you in the future and wish you the very best for the future. 3. Once we had selected our Masseria, Property Organiser's lawyer helped us navigate the vagaries of Italian law culminating in them being present with us at the notaries office in Puglia to conclude the purchase and translate the various discussions and documents. 4. They also introduced us to an excellent Forex company which saved us £000s compared to using my local bank. All of this for no extra cost. The commission that they charge comes out of the amount that you have to pay to the italian estate agent anyway. It's effectively free. I really thought that it was too good to be true when I first looked into using Property Organiser but it really isn't and all the testimonials bear this out too. Thank you once again Luisa and Valeria for an excellent service. First of all let me thank you for the service you provided in purchasing this property, everything was excellent and efficient and we will certainly use you again when / if we decide to “upsize” in Italy. Thank you very much for your help and the way you have steered us through the process of buying our home in Italy (still can't believe it! ). Please accept our appreciation for your honest advice and confidence in purchasing our holiday home in Italy. We wish you a prosperous and healthy future for you and your family. Thank you so much for all your assistance, the house is amazing! This whole process was so much easier with property organiser, and I really appreciated how much time and patience you gave to make sure I understood what was going on. Just a really big thank you to you all. the purchase of the apartment has been successfully completed following the signing of the final deed yesterday. We have already thanked Marcello personally for his good work and for providing all the support we needed; now we'd like to thank you and Mara (and anyone else who worked behind the scenes) for your contribution too. We are delighted with our new flat and looking forward to many happy times there. We would just like to thank you for your help throughout our viewings and purchase phase, it all made our first italian house purchase run smoothly. Just the Italian tax system to get to grips with now, possible tax returns for declaring overseas assets and also IMU tax. Luisa is a most polished professional who goes out of her way to make sure her clients are comfortable with the home buying process abroad from tentative start to completion when you purchase a home. We are Americans who started with the idea of purchasing a second home in Sicily where my husband's grandparents emigrated from. We saw lots of properties but two were stand-outs, an apartment in Sciacca that had been renovated by a young lady and a beach house close by a gorgeous white sand beach. As we were viewing homes, Luisa was a patient agent explaining in detail the house buying protocol in Italy. Unfortunately, since we live in the geographical center of the United States, Missouri, travel by plane involved one too many transfers and our children and friends would not be likely to make the trip, so we returned home with dashed dreams. However, we were not to be ultimately thwarted: we can get to Rome with a single transfer, and so drew a two hour driving radius around the airport and liked the proximity of Umbria. We contacted Luisa and Property organiser again and this time after viewing at least fifteen properties found a place that ticked all the boxes. We completed the transaction in early September and are now the proud owners of a charming home in the medieval walled village of Todi. None of this would have happened without the expertise and patience of Luisa, she is an asset to your organization who I would recommend to anyone without hesitation. Few people match her skills, linguistic ability and preparation in dealing with clients who vacillate between exuberance and fear when taking the plunge of buying a house in a foreign country. Mara is the paperwork manager for Property organiser and like Luisa is a very patient individual. Once you decide on a property, there is a mountain of paper that must be filed, filled and done in a timely fashion...Mara began with the money transfers, found us a bank in Todi where the manager could converse in English, and then monitored all the transfers of utilities from the owner to us. That was a feat worthy of a saint! Huge strings of numbers that must be accurate if money is to find its way to the proper organization. Mara never rushed us, or made us feel we did not know what we were doing, she just took the time to explain with specifics what she needed to complete the process. The property organiser seems to have found excellent representatives that know their business well. We initially enquired about houses with Property Organiser and many other companies, but chose them for their professionalism. We met with Luisa who showed us around many houses in Abruzzo, she was extremely patient with us! We found the house that we wished to buy and Property Organiser took care of everything from that point on. I would highly recommend buying through Property Organiser and we found our perfect home. We would recommend the after sales service as well, they have organised, telephones, water, internet connections etc. Mara, Claudia and Luisa especially have gone well beyond their remit to find us the perfect home and provide such a wonderful after sales service. The process of buying a house in Italy was entirely comfortable, very successful and absolutely painless for us, though it made me realise what a nightmare it could be without expert advice and guidance from an English-speaking expert. Luisa from Property Organiser took the time to understand our exact requirements, to advise us on potential issues and to negotiate with local estate agents, many of whom she knew personally. The same applied to opening a bank account and to dealing with the notary. And all this cost us no more than it would have done to seek out our own estate agents and to try to locate a property and to negotiate a purchase under foreign rules in a foreign language! I would recommend anyone thinking of buying a property in Italy to let Property Organiser handle it all for them. There really is no down side at all, and they're a very nice, responsive and helpful team. I would like you to know my experience with your company. My first encounter was with Luisa and she answered an inquiry I had about a property I found online. For at least 6 months we would email back and forth about properties I found and some that she thought I would like. I came to like her very much and looked forward to meeting her for my house hunting trip. When the trip ended up being 3 months earlier than expected she said she would try to clear her schedule to show me the houses we had together discovered. Unfortunately at the last minute she could not be there for our trip but would send her associate to meet me. I must tell you that I was so upset by this that I was actually crying. I did not know this associate named Paola, but worse was I was not going to meet Luisa who I had really come to rely on. Well Paola came to pick up my sister and I at the hotel and within 10 minutes, I was completely at ease. What a wonderful employee you have in both of these women. They are definitely an asset to be proud of. Paola took us all over Tuscany for three days and found the perfect place for me ( which was not even on the list of places we wanted to see, it had been added to the market the day before we got there and I was apparently the only person to see it). I cannot say enough to make you understand what a wonderful person Paola is, if there was a problem she would fix it. Nothing flustered her. I could not communicate with my husband for the first two days due to internet connection problems, so she had Luisa call him and let him know that I was fine. I can't actually remember all of the stresses, but her constant saying "No Worries" was something that calmed me instantly and something that I brought home with me too. Now my husband and I say "no worries" all the time. We will be back in Pontremoli in May and will file for residency then. Thank you for Paola, she found us the property that is absolutely perfect for us. When my husband and son saw it last month, they kept saying how good I did, but it surely wasn't me, it was Paola. I hope she can clear her schedule for one day in May as my husband would really like to meet her in person (we skyped in June). So to conclude, I am very happy with your agency and mostly with Paola who I will never forget. Thank you for all of your assistance. I have given copies of Paola's business card to several friends who asked for it. Thank you and your staff for making the process bearable, as there were times when we did not expect it to happen. We are very happy, there are a few things to be fixed but we are confident they will be. The view over the hills is stunning, we have been amazed how realistic the images were. Once again thank you for all your efforts. We will be in contact regarding additional support soon. I wanted to tell you what a great job Luisa does. She made the whole process of viewing properties a real pleasure and simple. We always felt she had our interests at heart and took the time to explain all of the necessary details and legalities. The time we spent with her was a highlight of the experience. She's fantastic. We feel we've made a new friend in Italy. Your company does a great job and I've told many of our friends about how easy you've made the process of buying property in Italy. Really helpful, thorough and friendly. We appreciate all the assistance and attention to our purchase. We are delighted with our new home in Arrone and credit it all to the wonderful staff at the Property Organiser. Thank you for all your help. Thank you to yourself, Mara and Doreen for all the help you have given in relation to the purchase of our house. Luisa has been very helpful to us, especially during our meeting with the notary. Thank you once again for your help and support. I must let you know that I am very pleased with the way your office takes care and helped me to find and close my dream. I am especially pointing out the professionalism and the way Paola handles it and the excellent human relationships Paola demonstrates which are of most importance. Paola has gained my total faith and she is doing for me much and beyond my expectations. The same I feel with everyone that contacted me from your office regarding the opening of a bank account. Judy and I are finally staying in the apartment for a few weeks. Now that the school-year is over we have the time let you know how much we value the assistance you and your company provided for us throughout the sale process: from arranging to view property to closing. We thought that buying Italian property from California would be difficult, but the process went well. I especially appreciated your assistance, sitting by my side, as the Notaio completed the contract, translating and explaining, when you were 7 months pregnant! My wife and I feel your company always went above and beyond any expectations. We have recommended your services to friends. As you are probably aware, we have now successfully completed on the purchase of our home in Northern Tuscany. The meetings with both the bank and the notaio last week went very well, and Fabiana was excellent, making the whole process very clear, and making us feel comfortable and at ease throughout the morning. I don't know what we would have done without her! Thank you too Stefania for all your expertise and to all your team at Property Organiser who have supported, and guided us through the whole experience; one which we have enjoyed and will not forget. We now look forward to our new life in Italy next year and to all it brings! Merry Christmas, and our very best wishes for 2012. I came across the Property Organiser Ltd by chance when searching on the web for a house in Italy about a year ago. I know it sounds clichéd but this genuinely was my lucky day. From the outset Stefania and her team showed their complete professionalism, integrity and attention to detail. This continued throughout the purchase process; in the search, the negotiation and the settlement. Yes, there were moments of frustration and the occasional complication but because of the confidence the team inspired, I knew I had no reason to worry. Property Organiser is a perfect name for the company as this is exactly what they do. I have no hesitation in recommending their services unreservedly. Buying a property in Italy is quite a daunting task. Not speaking Italian makes it more so. I was lucky enough to come across Stefania and her team at Property Organiser and they have helped me turn what could have been a disaster into an extremely smooth and pleasurable experience. Stefania quickly understood my requirements and within a few weeks had short listed some extremely viable propositions. My new property was found on my first visit and the transaction was executed flawlessly. I am amazed at how quickly and smoothly the sale progressed and how all eventualities were catered for. I would strongly recommend Property Organiser to anybody in the UK considering purchasing a property in Italy. Many thanks for all of your help in getting our villa! We are now living the dream. In the post completion maelstrom yesterday I did not get the opportunity to say thank you so much for all the hard work you have done on this purchase. I really have appreciated all your advice and help when we needed it. We are absolutely thrilled with the apartment and really feel that we have made the right move. Thank you once again for your hard work & efficiency, we really appreciate how easy you have made this for us. After deciding to advance our retirement project of buying a property in the Italian Lakes by 20 years, we initially attempted to arrange our own viewing trip. This proved to be a mistake - wrong location, wrong properties and wrong people to guide us at local level! Through good fortune we then stumbled upon Stefania and her team at Property Organiser Ltd and since then it's been plain sailing! We were given expert advice about location and types of property within our price range. In fact we managed to find our dream property on our first viewing trip with Property Organiser. The whole buying process has been very smooth indeed and at every step of the way we felt in full control. All of the other professionals recommended by Property Organiser (including foreign mortgage specialists, foreign exchange broker and even Italian furniture outlets etc) have proven to be a pleasure to deal with. I can't recommend the services of Property Organiser highly enough. Stefania and her colleagues have been efficient, professional and courteous throughout the entire process. One day when we perhaps decide to upgrade our property in Italy, we know exactly who'll we be contacting for help! We have been looking for a house in Abruzzo for two years, and we have spent a lot of time searching for a property on the internet, and we have also done two trips to Abruzzo to look at properties with another agency.
" Property organiser" on the web. When we contacted this company to hear some more about some of the properties, they responded quickly and gave us good information. The company organised viewings of the properties within two weeks. Within 6 weeks from the time we established the first contact with Stefania Russo we had bought our favourite property!!! This includes all paperwork and contacts with Italian authorities. Finally, after completion of the buy, Stefania Russo arranged an introduction of us for the neighbours. So, now when we travel to Abruzzo this summer, we are already known in neighbourhood, which feels very good." Thanks you for your efforts in helping us to buy these plots. I understand that the contract only came in late on Thursday evening and so want to send especial thanks to Valeria for making the effort to translate it for 10.00am the following morning. The geometra has turned out to be a real star once he got started and we have now approved our plans ready for submission. You have my fullest recommendation. It would have been impossible for us to successfully complete our purchase without using The Property Organiser. Apart from the language barrier, there were problems with the plot numbers, the owners of the plots and missing vital documents all which could never have been foreseen. Also the help with opening a bank account was invaluable and meeting the Notaio without an Italian speaking lawyer would have been a complete nightmare! Should we ever purchase abroad again we will be in contact. 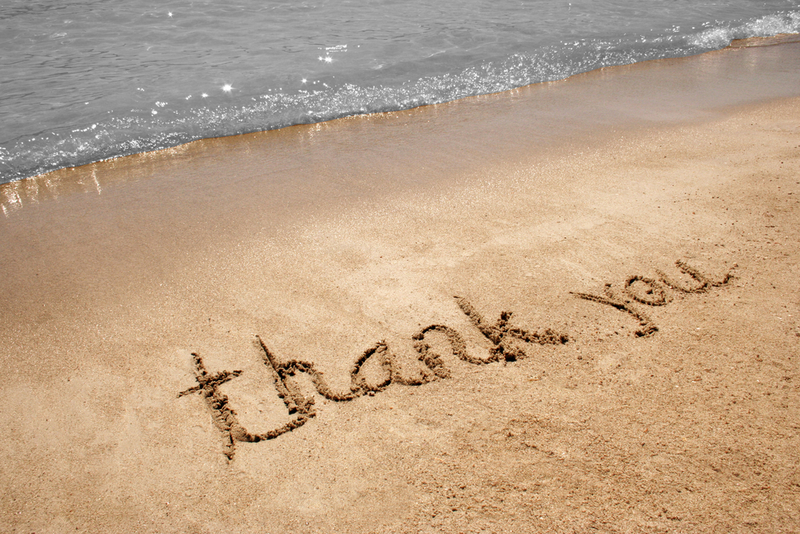 Just wanted to say thank you for all your help in finding us the right property and in particular with the final deed. We are grateful for the assistance you have given us and are looking forward to spending time in our new house in Garfagnana in the future. Thanks very much for arranging the deal on the Attico in Briatico. A Big Thanks also to Genny for very kindly, helpfully and cheerfully showing me around all the properties and answering all my many questions. I'm very much looking forward to spending a lot of time there. Can I just say how impressed we are with the service we have received from you, including Taran, Maurizio and also Brunello. So a big thank you and we would be happy to recommend your company to other people who may wish to buy property in Italy. We wish to offer our sincere appreciation for your help in finding and purchasing our dream property in Abruzzo. Your expertise in the Italian property market and excellent local contacts made the process much simpler than we anticipated. The beginning of our Italian adventure has been very positive. We recommend Property Organiser to anyone wishing to purchase property in Italy. I would like to thank you for all your professionalism, attentiveness, guidance and absolute kindness when dealing with us in the purchase of our home in Lombardy. We now have a view and a beautiful place to stay in Italy. A big thank you for all your hard work and advise from Anne and myself we are really looking forward to moving in. Must have a Prosecco on the roof terrace some time. Have a great Christmas and a prosperous New Year. which you did do, to a successful conclusion. Well done. If you need a customer reference I would be happy to provide one. I do hope that you will visit us in Italy and generally stay in touch. We want to thank Stefania and her team at the Property Organiser for the excellent work they did in helping us to find our villa in Calabria. They took our specification and did their research which made our visit easy, hassle free and productive as we purchased our villa with magnificent sea-views on our first visit! Throughout the whole process they were proffessional and very knowledgeable and had our best interests at heart. We would not hesitate in reccommending them to anyone wanting to purchase a property in Italy. We just wanted to say a big thank you for helping us fulfil a dream. Apart from your knowledge of the finer details of purchasing a property in Italy, the patience and calmness of both yourself and Valeria was beyond all expectations. Our experience with Property Organiser has been a positive, fruitful and happy one throughout the entire process to find and purchase our dream retreat in Italy. Stefania Russo and her staff at Property Organiser are the epitome of professionalism and helpfulness. They are very well informed about the property market in Italy. All of their clients receive equal and ample attention. We highly recommend this company! Charles and Amy Palella from New Jersey, US. Just a note to say thank you so much for all your help in making the purchase of our home in Italy go so smoothly - for knowing what to do when, and your advice and genuine interest in us getting the house of our dreams. We’ve got a wonderful place to escape to, with breathtaking views, and all the things that we said were important to us close by. The difference was, unlike others we approached, you really listened to what we wanted, and did provide the bespoke service you advertised. We would recommend using your company to anyone looking to buy there, and am sure you’ve got several more letters like this one from other satisfied and happy customers. Jane M. and Wayne S.
We have been looking for a house in Italy for the last 4 years. We have searched a lot on the internet and then we found the " the property organiser " it seemed to be a very serious company. Then we contacted the company and we were very surprised that we got an answer so quickly, because some of the other companies in Italy that we have contacted, didn’t respond so quickly and sometimes it could go up to 2 weeks before we heard anything. We also had a lot of questions about buying a house in Italy and all these questions the Property Organiser also helped us with and if there was some questions that they couldn’t answer right away they searched the answer and came back to us. When we had found our dream house in the region Umbria, Stefania helped us getting the " Codice fiscale " , opening a bank account and they also helped us finding a good "surveyor" and a "notary" that wasn’t too expensive and an insuring company for our house. On the price of the houses you alwayes have to count with an extra of 10 % when you buy a house in Italy because the surveyer, notary and the proberty Organiser have to be payed. Our impression of The Property Organiser is that it is a very serious company and if we sometime in the future want to buy another house in Italy we would use them again. We would like to unreservedly recommend the services of Property Organiser. In the complex process of buying an apartment in Italy we found them knowledgeable, efficient and reliable. We were helped courteously and quickly from the early stages of looking for a property through the various processes of purchase and subsequently with the transfer of ownership and all the hassles of negotiating taking over the utilities. We are now in the process of renovation and continue to have practical help and information. I just closed today (1 August, 2008) on a Condo in Agropoli (30 minutes SOUTH of the Amalfi Coast) for $175,000US. It's 1000 Square Feet (1 Very Large Bedroom, 2 Bath), brand new construction, 3 stories, sits 1000 feet above the city, with spectacular views of the Tyrrhenian Sea, the town of Agropoli, its beaches & harbor, and mountains-10 minutes from the city center. The Seller is building an edgeless pool for the residents that overlooks the same views (HOA fees are $300 Euros per year). Great weather (not too hot or cold). And it's NOT YET a tourist town. Easy to go out to the great local restaurants without any crowds (Less than 20 Euros each for dinner with wine). If you want the Amalfi experience, it's a short drive away. Want to find a property like this? Contact Stefania Russo of the Property Organiser. She's awesome! Bill Vivian from San Diego, US. Just a short note to thank Stefania and Valeria and all at the Property Organiser for all your help with our house purchase in Calabria. We could not have got through the Italian purchase system without you. We will not hesitate in recommending your company to anybody thinking of purchasing a property in Italy, having received such a friendly and attentive service ourselves. Once again many thanks for the great service. We could not be happier with Property Organiser. They did a superb job in finding us our dream house, exactly where we wanted to be and at an affordable price. It was all done with great professionalism and, once the place was ours, the service continued - giving us that safety net as we negotiated Italian bureaucracy. I would like to take this opportunity to thank Stephania Russo and her company, Property Organiser Ltd for their invaluable assistance in my recent purchase of a small villa in Tuscany. When initially searching for suitable properties, I was able to access dozens of websites from Estate Agents, individual owners and property developers etc., showing hundreds of properties, but found it very difficult to make a valid comparison between them from the thumbnail sketches and details – in Italian – they provided. Whilst I was able to shortlist two or three properties I wanted to visit, by far the most useful contact I made was with Stefania at The Property Organiser whose service has been impeccable ever since. Specifically, after a detailed questionnaire and long telephone interview, she was able to determine my precise spec, budget etc. and her researchers in Italy (all, like her, bilingual) were able to winnow through the huge numbers of properties on the market to reproduce a very reasonable Initial Short List of about 25 properties and she provided full details of all of them, including various photographs, dimensions, and other information including distance from Airport, facilities in the area, etc, etc. She also sent a CD with multiple images of each of the properties, which was very helpful in determining a Final Short List of some 15 properties, all within the appropriate budget and in the desired geographical position, though of very differing styles, ages, etc. She was then able to plan my itinerary with a logical progression through the various areas during the course of my week long visit (I made my travel arrangements independently, but she is able and willing to arrange flights, hotels, car hire, etc., etc., if required). We were able to visit not only all the properties on her short list, but also included the properties that I had independently sourced and we were accompanied throughout by herself or one of her agents, which made conversations with the Estate Agents, Owners etc., much more straight forward than my halting Italian would have permitted! In the course of this trip, we found three delightful properties and subsequently selected one that we were particularly interested in. Stefania was able to arrange a re-visit some weeks later and her assistance was invaluable regarding the possibilities of re-designing/refurbishing part of the property and in making a successful bid for it. Astonishingly, this excellent service does not end at the mere purchase of the property, but extends to making all the necessary legal/architectural/financial arrangements for the purchase, opening bank accounts, utility services, building works and even advising on appropriate furniture, if required. Stefania was able to sit in a the final “Atto” stage of the purchase as the Official Interpreter, which gave us great confidence in the process and she worked very closely with our Italian lawyer to ensure a seamless transfer of the deeds. The whole process, from initial viewings to completion took less than three months, mostly thanks to Stefania’s excellent help and advice. Even then, they are not finished! Stefania has been able to help us organise a new kitchen and various building works at the property, as well as make arrangements for setting up direct debit payments to the Utility Services and getting our Italian bank account up and running. They also offer various packages of continuing service, including mail collection, cleaning, maintenance, pool maintenance, etc, etc., all provided at a fixed – and very reasonable – annual rate. Overall, whilst it would, of course, be possible to have gone through this whole process without Stefania’s help, there is no doubt whatsoever that the level of professionalism, experience and expertise offered by Property Organiser, is absolutely first class and it has made what was, potentially, very fraught venture, into an exciting and pleasant experience. I would wholeheartedly recommend Stefania and her company to any future clients; indeed, I would say that Property Organiser should be the first port of call for anyone looking for a house in Italy! Thank you to Elena, Stefania and all at The Property Organiser for the service we have received so far. Elena has been fantastic to find us our perfect villa in Liguria and you have been absolutely lovely to deal with. It helps that you all speak perfect English too! I have recently purchased a property in Italy. It is a delightful investment but it did not take me long to realise the Italian system for doing things is very different. Fortunately the Property Organiser Ltd helped me through every step of the purchase , and with their personal attention and professionalism made certain that every aspect went smoothly. Together with their follow up service of management I am very pleased that I have used their services. Despite working in the Property Industry for over 30 years, I could not have managed to buy our home in Italy without the care and assistance provided by The Property Organiser. Stefania and her team have provided us with a faultless professional service throughout from initial viewings through to completion and beyond. The service they provide covers all aspects of purchase and is personally tailored to your requirements - nothing is too much trouble. A big ‘thank you’ for all your help, professionalism and efficiency in finding us our apartment in the Italian Riviera and sorting out our property purchase in every detail. We were really impressed I would definitely recommend Property Organiser to anyone who wants to buy in Italy. We are two couples who set out in January 2006 with the intention to purchase a property in Italy. We attended several property shows and agreed to visit Le Marche at the invitation of an estate agent. We agreed a brief and flew to Ancona where we were not met as agreed by the company, then taxied, at our cost, to an agreed meeting point, the properties shown did not meet the brief e.g. brief: 2 bed apartment, offered: 6 bed country mansion. On behalf of the purchasers I attended a property show at Excel, in October and met Ms. Stefania Russo from The Property Organiser Ltd. Following the show Stefania contacted me to arrange a meeting at this meeting we agreed a specification and brief for the target property. Stefania contacted me within two weeks and arranged for me to view, together with her five properties within the agreed target area, Tuscany. I attended alone, based on our previous experiences; we had decided not to waste any more funds travelling as a group. Stefania met me at the airport and cancelled my hired car, she drove me to the five properties over two days, arranged a hotel for me to stay in overnight and delivered me back to the airport. The five properties which were viewed came within the agreed specification envelope, principally two were 100% on the specification and the other three were within 95% of being the perfect choice. Following the viewing I selected two properties and in November all the purchasers travelled to Italy to view the selected properties. We selected a property in Casatico, Garfagnana, which met the brief exactly, agreed the purchase price and paid the 1% deposit. This sum secures the property for a period of six weeks. Following this the process was managed very professionally by Stefania who guided us through all the steps and at the end of February we concluded the purchase. The vendor’s expectations were managed very well by Stefania and her team and in preparation for the final exchange we found that all the actions had been carried out professionally and we managed to conclude the legal exchange in less than one and a half hours. The post purchase service offered by Property Organiser is, we believe is superior to the schemes we have looked at with other agents. The principal difference is that we are dealing in the UK with a local contact, who is not organising by telephone with unknown suppliers but has people on the ground who supervise the works and oversee the long running contracts, such as pool maintenance, garden upkeep etc. Using this service we have had a kitchen designed and fitted, fireplace designed and fitted, pool and garden contracts negotiated, reduce car parking at Pisa airport negotiated etc. We cannot recommend the service provided by Property Organiser highly enough, they provide a family based service with all the care and attention which unfortunately is lacking within many service based industries. We have listed our individual contact numbers, please do not hesitate to contact any of us if you wish a verbal confirmation of this testimonial.